A big thanks to Betty Crocker Wannabe! I just can’t get over how stinkin’ adorable they are! Unfortunately I didn’t have as much yellow food coloring as I thought I did so half of the batch is a little more red than I would have liked. I’m thinking that James’ friends won’t mind one though. 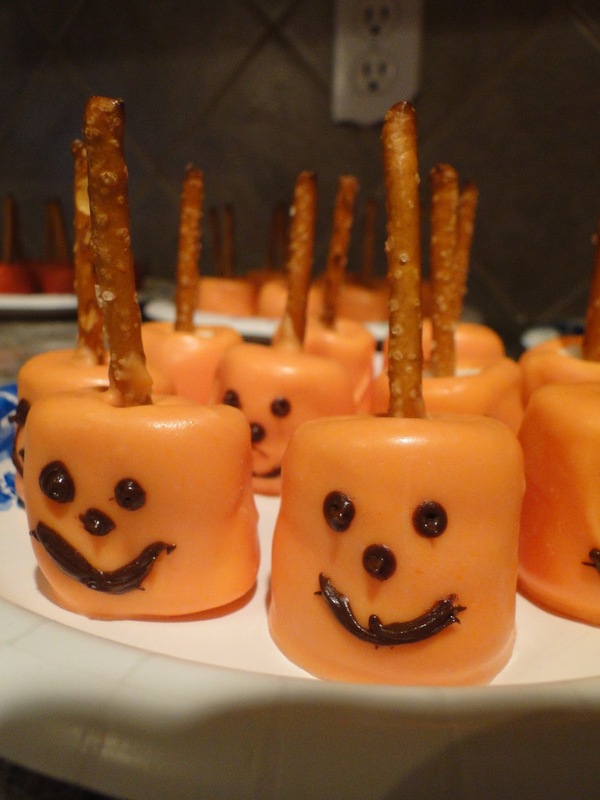 I also decided to use pretzel sticks for the stems instead of Popsicle sticks. First of all pretzel sticks are a heck of a lot cheaper AND now the entire thing is edible. I for one won’t be eating any though. I LOVE me some sugar but I seriously don’t think I could even stomach all that sweetness. Tomorrow I am going to go through my ribbon and find some green to tie on the top. I just had to show you now — I was so excited about how cute they turned out! You are exactly right. COMPLETELY adorable!!! 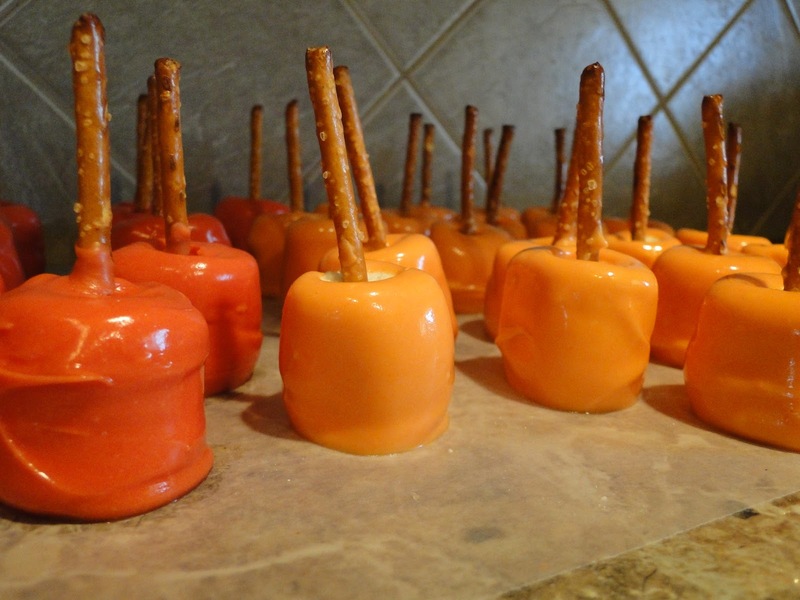 for the green you could dye ,whatever you used for the orange, green and just dip the top of the pretzel stick in it!! Can I link this post to my blog? Let me know & I'll link up. I'm your newest follower from the BH. Stop by sometime for great recipes & baking tips! my sister blog with crafts & fun! This would be a fun project to do with my grandkids. And hey–I can send them home for the sugar high. Ha! Nice blog. I signed up to follow.